Sifting through purchasing data for clues about what might sell or haphazardly brainstorming ideas are typical strategies. But Jobs to Be Done offers a far more precise and effective approach: determining the drivers of customer behavior – those functional and emotional goals that people want to achieve. Using the Jobs method, it becomes easy to see that people don't really need a 1/4-inch drill bit, but a 1/4-inch hole. They're not just buying ice cream, but also celebration, bonding, and indulgence. This simple shift in perspective opens up new insights about your customers and a wealth of hidden opportunities. “Customers don’t want a quarter-inch drill bit, they want a quarter-inch hole.” This simple but important insight expressed nearly half a century ago by the legendary marketing guru Theodore Leavitt is too often forgotten by corporate strategists and product developers alike. Companies work on developing new products or multiplying product features while ignoring the fundamental question: What are customers trying to get done with this product? In recent works, Harvard Business School professor Clayton Christensen has argued that effective innovation depends on understanding what the “jobs” that customers want done with the product they buy — jobs that can be functional (e.g., that quarter-inch hole) or emotional (e.g., making a statement about one’s individuality). At first glance, the authors’ Jobs Roadmap may not seem revolutionary. It begins with the strategy-focused step of establishing objectives, which ranges from deciding which customers to target to developing the institutional capabilities for moving forward. The next step is to planyour approach: choosing the research methods that are most likely to yield the kind of customer knowledge that offers valuable insight into the customer jobs behind the purchase decision. 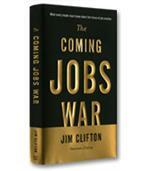 The third step in the Jobs Roadmap is what the authors call Building the Jobs Atlas. The Jobs Atlas is given special consideration in the book — in fact, the authors focus nearly half of the book on building the Jobs Atlas before exploring the other Roadmap steps — and with good reason. Uncovering those elusive customer jobs is at the heart of the process, and this detective work is accomplished through the Jobs Atlas. The Jobs Atlas is built in three phases, write the authors: know where you’re starting from, chart the destination and roadblocks, and make the trip worthwhile. The Know Where You’re Starting From phase includes identifying and prioritizing the jobs customers are looking to get done, which can be functional or emotional. Snapchat doesn’t have many bells and whistles, but its instant but ephemeral sharing of moments fits perfectly the emotional needs of millennials. The authors also note the importance of job drivers — the contextual factors that, according to the authors, make certain jobs more or less important — and of customer pain points. The second phase of the Jobs Atlas is Chart the Destination and Road Blocks. This phase covers defining success from the customers’ perspective. The genius of Snapchat, for example, is that its founders realized what customers wanted and what they didn’t need (e.g., photo-editing and search capabilities). 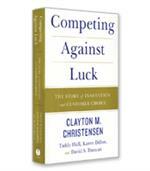 This phase also involves determining any obstacles that might stand in the way of a purchase. Having built the Jobs Atlas, companies can then travel the final three steps of the Roadmap: generate ideas, accomplished through a systematic framework linking the insights of the Jobs Atlas to new ideas for innovative solutions; reframe your perspective, which is done by recruiting external perspectives on the process; and experimentation and iteration, the phase required to finalize the solution. 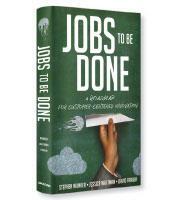 Jobs to Be Done reflects the best of consulting books: a clear, practical methodology filled with real-world tools and processes built on the foundation of a brilliant insight — one that can truly make the difference between sustained success or complete failure.